Is Bruce Springsteen a secret 80s metal head? Back in February, he regularly performed AC/DC's 'Highway to Hell,' and tonight (April 6), he began his first show on American soil in 16 months with a cover of Van Halen's 'Jump.' The video is embedded above. The occasion was the March Madness Music Festival, a free concert in Dallas' Reunion Park as part of the NCAA basketball tournament. Springsteen and the E Street Band took the stage to the sounds of the Harlem Globetrotters' theme, 'Sweet Georgia Brown.' "This has something to do with basketball, am I right?" he told the crowd. 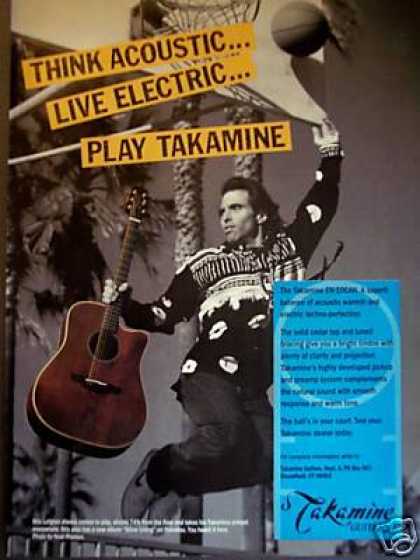 Then, with guitar tech Kevin Buell dressed as a referee, he did a jump ball with Nils Lofgren -- whose love of the sport was used in an ad campaign for Takamine guitars in the '90s -- and launched into the song. The song was bolstered by the five-piece horn section, who helped out on its signature synth riff. Tom Morello nailed Eddie Van Halen's solo and Charlie Giordano handled the keyboard solo. Springsteen's five-week 'High Hopes' U.S. tour begins in earnest on Tuesday in Cincinnati. On Thursday. he will induct the E Street Band into the Rock and Roll Hall of Fame.